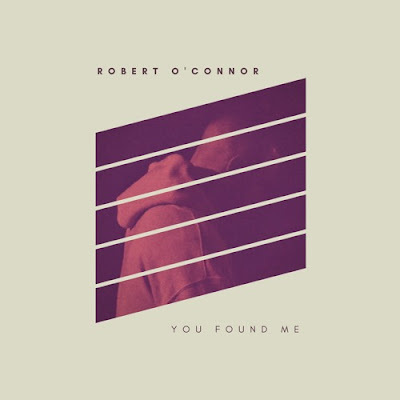 Irish singer/songwriter Robert O'Connor has unveiled his brand new single, You Found Me, set to arrive on March 30th! The track was co-written by Robert and produced by Stuart Gray with Steve Hogan at Jealoustown Studios in Ireland. Stream it below! I went in to meet Stuart with Steve, who I hadn't seen in a decade, and we just got to work straight away. I had these new songs but I was nervous about what people would think of them, I'd lost confidence in myself as a writer and a vocalist. Stuart said to me 'If we're going to do this, do it for you, make the music you want to make and forget about everyone outside of this studio' and for once, I did what I was told. First he got my head right, then he got me to sing like I've never sang before. He was brutally honest about the material I presented - he'd say things like 'where's the chorus, I'm not hearing it' and I'd panic thinking, 'I'm a temperemental writer, will I be able to write a chorus on demand'. That's how the big anthemic chorus of upcoming single "You Found Me" came about. I thought, I want my Coldplay moment, I want to go from the darkness of those verses into a euphoric sing-along moment that makes you feel like it's all going to be alright. So right then I went into the booth and belted out that 'Yeah...' line, and from there on I knew, this combination of people in the room is the one to make me dig deep. I'm not looking for financial gain, fame or critical acclaim. I'm just thrilled to be back in the game. Awesiem track . loved it!